Today I'm introducing a new feature on My Fair Vanity. I'd like to take a moment each week to share what I've been reading, what inspires me, and maybe a little something I've learned that has helped me in my quest to lead a life that is kind to the earth and the people on it. I've been a fan of The Glamourai for many years, and it's been heartening to see creator Kelly Framel elevate the blogging platform with her meticulous, editorial approach to fashion and styling. This past week, Kelly outdid herself in a way that means a lot to me, and I think you'll appreciate it, too. Kelly created a stunning visual landscape and populated it with three striking women to highlight Maiyet's kind, sustainable approach to luxury clothing and accessories. Maiyet is a new clothing line that partners with non-profit Nest in order to build capacity for artisan communities around the world, celebrating ideals like craftsmanship, prosperity and stability. Take the time to read through this four-part series and I promise you won't be disappointed. Margaret Atwood is an incredibly versatile and compelling writer, sliding easily between romance, satire, mystery, science fiction and historical fiction. 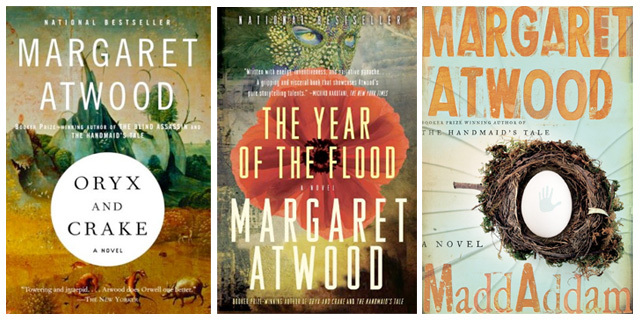 In the Maddaddam series, Atwood takes our current technological advances in science and communications and proposes possible consequences that are at once bizarre and eerily plausible. Her story is set in a world in which the political and financial power of multinational corporations is ascendant and young people compete to get into the best corporate-sponsored universities. Heavy on the satire but equally heavy in her faith in the power of love and community, the series is both a scathing cultural critique and a message of hope. The last book in the series, Maddaddam, came out just this month, so you don't have to wait to read the whole trilogy all at once. If you finish the series and you're looking for more Atwood, I'd start with either The Handmaid's Tale or Alias Grace. 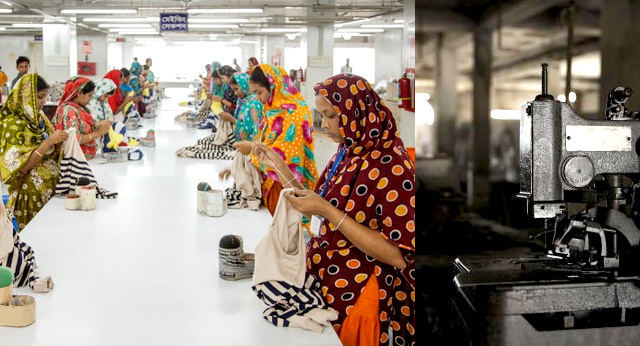 Under a grant from the Pulitzer Center on Crisis Reporting, journalist Jason Motlagh reports from Bangladesh on the still-flimsy factory inspections process, a toxic leather industry, and the devastating long-term effects of the Rana Plaza factory collapse. Motlagh paints a picture that stands in stark contrast to the exuberant announcements of newly signed safety agreements we've seen in the past few months from both U.S. and European retailers, and I plan to check on this project regularly.